This Peruvian Straight Hair is 100% original Human Hair. 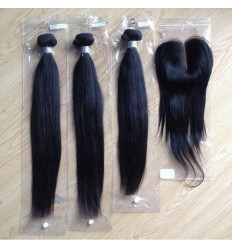 It's Peruvian Virgin Hair Extension that made of the highest quality Human Hair. It is a lovely Natural Straight that comes in 3 bundles for the full head make. It's very affordable quality hair. It is very easy to maintain. It's 100% Virgin Human Hair.